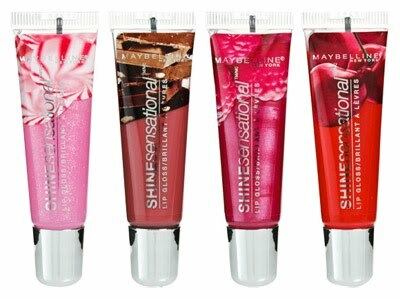 I've recently tried the Maybelline NY Shine Sensational lipgloss in Tempting Toffee. 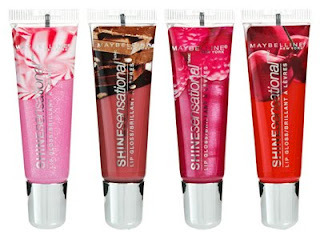 What a gorgeous lipgloss. Its silky, smooth, shiny and sweet. It is slightly brown tinged, although not particularly noticeable, and actually tastes of toffee (and smells delicious too). It is super shiny, but is really lovely to wear. It also comes in other flavours such as cherry bloom, crushed candy (smells like candy canes), peach sorbet and a number of other fruity flavours. They all seem delicious ... now I just need to save up some money so I can get one of each.